A classroom carryall is an essential tool for both students and teachers. Although the term classroom carryall can refer to a foldable plastic cart with a handle and wheels, a classroom carryall could be any type of bag that carries school essentials in an orderly manner. A carrryall bag can also be useful for teachers because it can eliminate the need for carrying a separate purse, portfolio, and tote bag for various personal and school items. Instead, with the right all-purpose bag, items can be neatly stored and organized with less effort and fewer bags to lug around. Another use for carryalls can be to create individual centers within the classroom, such as an art center, early reading center or math manipulatives center. When the student is finished with the center, all materials go back into the carryall for another day. Durable: Frequent use can take a toll on a bag, so strong materials are a necessity for daily wear. Easy to clean: Classroom mishaps, spills, and accidents are common, so having a bag that is easy to clean and care for is a helpful feature. Roomy: An ample size allows for all a teacher's essential personal and classroom items to be stowed with ease. Plenty of pocket and compartments: A bevy of pockets, compartments, or other organizational features will make it easy to find and store necessary items. Most bags geared towards use for the classroom are tote-style or shoulder bags, however, teachers may choose to use alternative bag styles, such as backpack-type bags, brief bags, or even travel organizers. Wheeled totes ideal for those with many items or heavy supplies. Materials to consider for the bag might be canvas, coated canvas, quilted fabric, denim, plastic, or leather. Simple flap or zip-top closures can allow for quickly accessing items. Designs range from fun classroom motifs in bright colors to simple bags in neutral colors. The traditional classroom carryall cart is a folding cart. The frame is made from durable plastic. Large rubber tires grace the bottom of the cart and a pull out handle, similar to the handles on carry-on luggage, is located on the back side. Most classroom carryalls in this style also come with plastic organizer inserts for the inside of the cart and a canvas organizer cover with pockets for supplies such as glue, pencils, scissors and other classroom essentials. The main purpose of a classroom carryall is to have a place to keep everything you might need during a school day. An added bonus is that it will be organized and easy to find. A carryall can take on any number of forms. 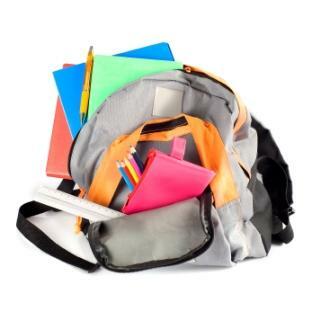 Carryalls for the classroom can be found in many brick and mortar stores. For the best selection check your local teacher supply and office supply stores, although rolling totes can also be found at Walmart and other big box retailers. If you prefer to shop online, you'll have a much wider selection of carryalls from which to choose. Amazon.com: You'll find a nice selection of items that can be used as a carryall. Choose from laptop bags, carryalls and backpacks. Jansport: This company offers a nice selection of backpacks of all different sizes. Almost all of the backpacks focus on organization. Locating the perfect carryall can make every day in the classroom a little easier.